Southern highbush blueberries combine the fruit quality and productivity of highbush blueberries with the low chilling requirement necessary to produce a crop in the Florida climate. 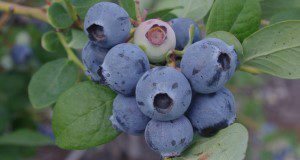 Written by J. G. Williamson, D. A. Phillips, P. M. Lyrene, and P. R. Munoz and published by the UF/IFAS Horticultural Sciences Department, this 13-page major revision describes current and historical southern highbush blueberry cultivars released by the University of Florida. 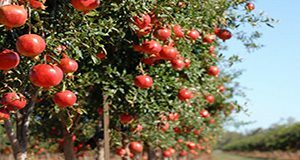 This 6-page document profiles the pomegranate and discusses its production in Florida. Written by Ali Sarkhosh and Jeff Williamson and published by the UF/IFAS Horticultural Sciences Department, January 2019.